Mike Meiners, founder of Hackstudio (http://www.hackstudio.com ) - a kids program in Evanston where kids can do "anything they set their mind to" - will talk about his company's approach to learning. Mike will share why he believes that if we want to expand computer literacy beyond the fiercest of the tech-heads, then we will have to design a way to teach coding that calls on our creativity and the neuro-biological impulse to solve our own problems. Mike Meiners is founder of Hackstudio, a kids program in Evanston, IL where kids can do "anything they set their mind to." Over the years, Mike has worked as an artist, architect, actor, designer, homeschool teacher and entrepreneur. 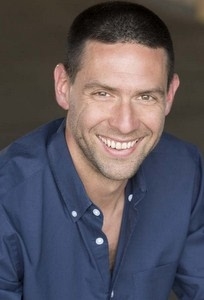 Prior to founding Hackstudio, Mike founded the film production company, Cinemetro, Inc., where he wrote, produced and directed the motion picture “The Trouble With Dee Dee.” As an actor, Mike performed regularly at iO Theater, Chicago and appeared in the motion picture "The Break Up" with Vince Vaughn. Since 2001, Mike has operated Meiners Design, where he has designed company identities, earned two utility patents and won a national furniture design competition. He was co-founder of HouseHaus LLC, an architecture firm whose work has been exhibited at the Chicago Architecture Foundation and featured in Chicago Home and Garden magazine. As an artist, Mike recently completed an effort to produce 100 works of art in 100 straight days. In 2011, Mike founded the company that would become Hackstudio to help a new generation of kids realize their power through the joyful anticipation, frustration and triumph of getting their dreams done.